What is our world, if we have not the encouraging word? Step out. Be true to yourself. Do not hurt others, do good to all. Then peace will come. Categories: 21st Century living, anticipation, behavior, buddhism, eternity, Family Values, God, inspiration, inward growth, January, Soul, spiritual growth, thoughts, Uncategorized, Universe | Tags: aging, creativity, daily life, experience, Inspiration, Life, love, Ralph Waldo Emerson, reflections, soul, universe | Permalink. 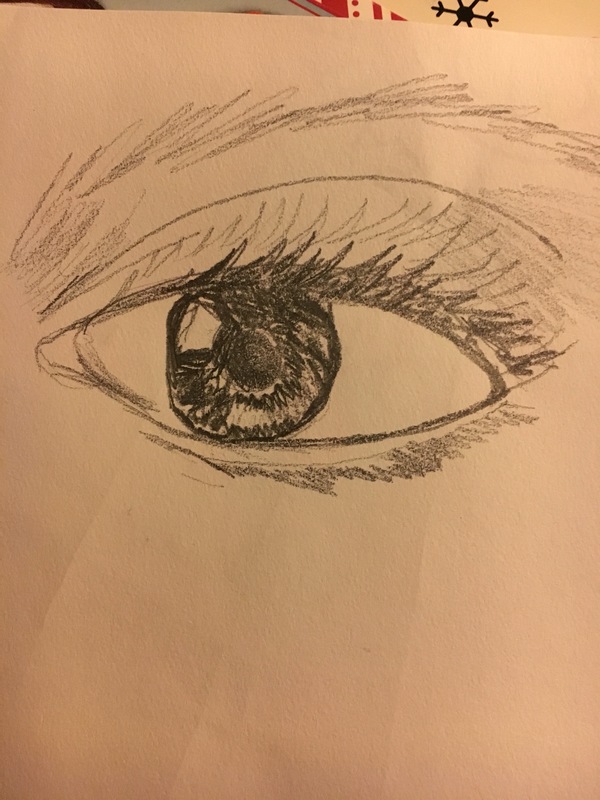 First attempt at learning how to draw. Not perfect, but it’s a start! Oh what fun! Sandwiched in between paint projects (rooms and such) and life in general! Categories: 21st Century living, Art, inspiration, inward growth, January, life | Tags: Art, pencil drawing | Permalink. We live, we die, it’s driving me crazy. Then I take a deep breath, realize I live on the pale blue dot. Categories: anticipation, behavior, buddhism, divinity, eternity, God, History, inspiration, intellect, inward growth, January, life, nature, Soul, spiritual growth, Uncategorized | Tags: aging, daily life, death, nature, nostalgia, soul, writing | Permalink. By the time I was well on my way it dipped to -13 then -15, the Norwich airport (somehow the official temperature readings are always from “the airport” of wherever you may live) read an official -17. According to Yahoo (which errantly was recording a -11 at 2:30 am) the temps should get to 23. Really? I’m not sure I believe it. I am thankful for the weather. It’s bright and sunny and white snow and blue skies are smiling at me. Categories: inspiration, inward growth, January, Weather | Tags: cold, fahrenheit, freezing, global warming, january, polar vortex, snow, weather | Permalink.